Material: 95% Viscose, 5% Spandex. 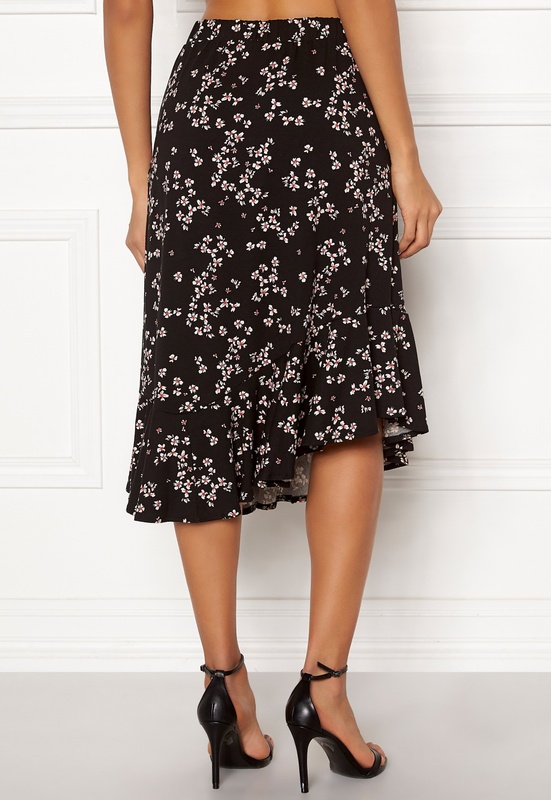 Beautiful, patterned skirt from VERO MODA. 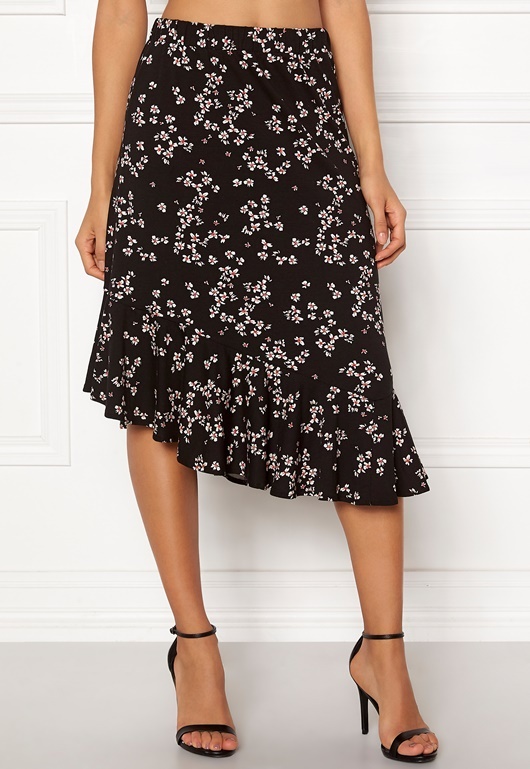 The skirt has a lovely fall and is perfect for both festive occasions and everyday wear. - Stretch quality - Elasticated at waist - Flounce details at hemline - Asymmetric cut Center back length 71 cm in size S. The model is 176 cm tall and wears a size S. Machine wash at 30 degrees. Can be worn as a set together with the Bloom LS Blouse.